This month, we’ve rounded up important changes for Facebook and Instagram managers, LinkedIn job hunters, mistake-prone tweeters, and more. LinkedIn recently announced a few new features that are worthy of your attention. Another user-friendly new feature comes in the form of a new People tab on LinkedIn Pages. 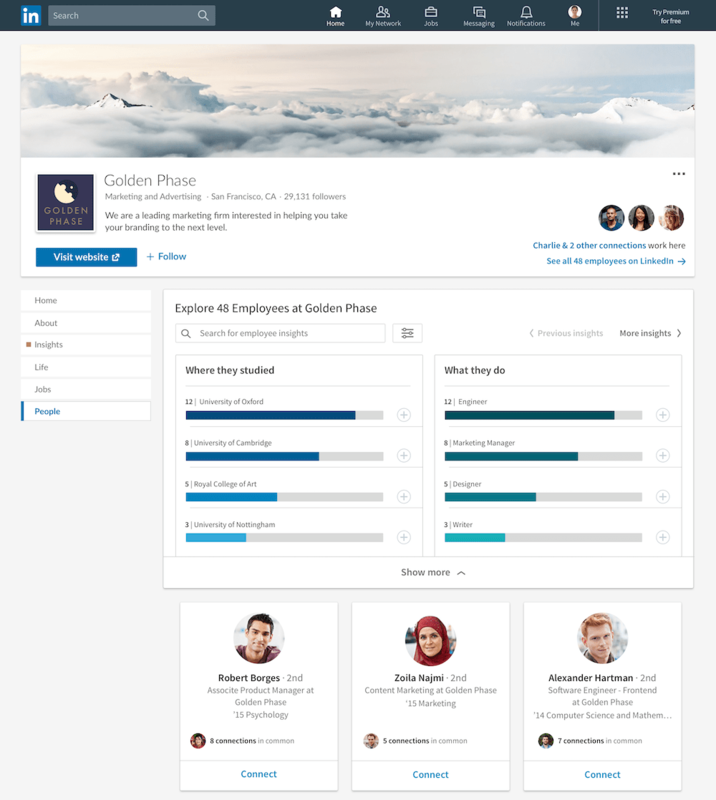 Similar to the Alumni section of a college page, this page gives users insights into where employees of a company work, what they do, where they studied, and more. It also includes a tiled list of employees. This appears to have replaced the Employees link that used to take you to a filtered search interface. This is rolling out in the US and Brazil in the coming weeks. Pages already have the ability to create groups to build their own communities, and in the coming weeks, Pages will be able to participate in Facebook Groups and join community discussions in a way that is representative of their business or organization. This space will also have the ability to let Facebook know if you think they made an incorrect judgment. "You could build it as such so maybe we introduce a 5-second to 30-second delay in the sending. And within that window, you can edit. The issue with going longer than that is it takes that real-time nature of the conversational flow out of it." We know Twitter wants to continue to claim the “What’s Happening” right now throne, so this makes some sense. Maybe a very short editing window is the best we can hope for. Let’s wait and see! Snapchat has run into countless struggles and challenges over the past year or two, but, as reported in CNBC, Snap was happy to report a stable user base in Q4 2018. The company beat expectations for the first time in a while (or what feels like a century in Social Media world). We may be witnessing the beginning of a comeback.